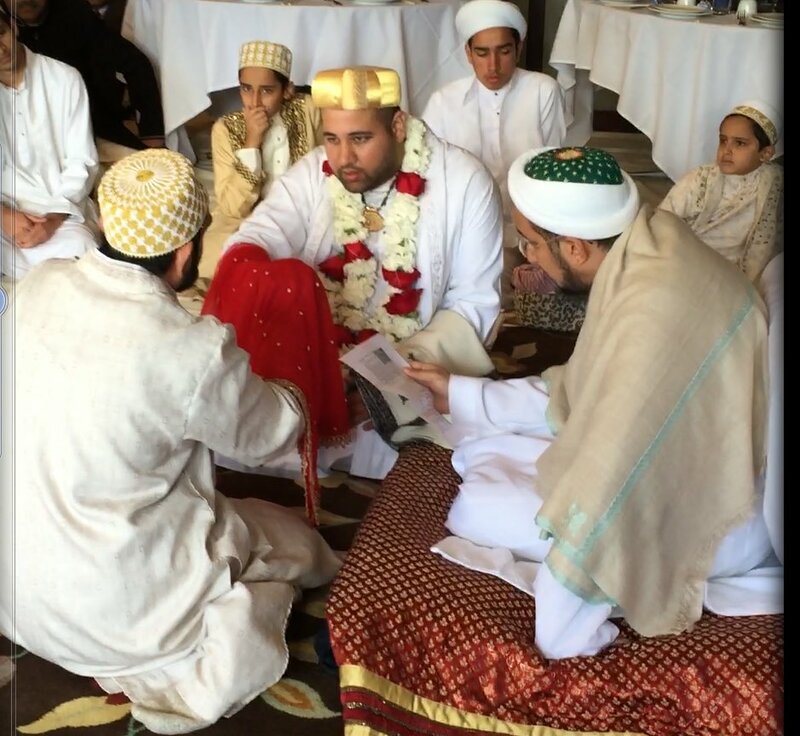 Shehzada Taher bhaisaheb performed the Nikah of Taha bhai son of Shk Muslim Tyebjee on Sunday, 22nd Safar in San Jose, USA. A Misaaq Majlis was held on the 21st of Safar in which Shz Taher bhaisaheb recited the Misaq Ibarat in Dawat-ni-zaban and then summarized each section and explained it in English as well. On Sunday afternoon, Shehzada Taher bhaisaheb lead Imamat namaz at noon followed by the Nikah ceremony and khushi jaman. Muslim bhai received great support from his family and friends in San Jose and elsewhere and the atmosphere was one of happiness and joy. Photos of the Nikah ceremony are presented on Fatemidawat.com.